Age 72, of Burlington passed away Friday, March 29, 2019 at Clement J. Zablocki VA Medical Center. Don was born January 10, 1947 to Donald and Dolores (nee Heffernan) Fescenmeyer in Chicago, Illinois. His early life was spent in Chicago and later Marengo, Illinois. Donald graduated from Marion Central High School. Following high school, he served his country in the U.S. Air Force from 1966 through 1970 and later retired from the Army Reserves. On November 6, 1971 he was united in marriage to Donna Kanaly at Sacred Heart Catholic Church in Marengo. Following their marriage, they resided in Marengo, Sharon, Wisconsin then settled in Burlington where they continued to raise their family. 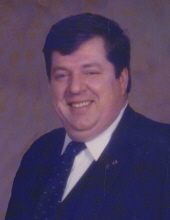 Don had a long career in manufacturing, including Beloit Corporation, as a Plant Manager. Involved in the community, Don was a member of the Knights of Columbus: 4th Degree, Racine VFW Post 10301 and the American Legion Post 79. Don was also very active in the Boy Scouts where he achieved the rank of Eagle Scout, volunteered as a Scoutmaster in Sharon and as an Assistant Scoutmaster in Burlington. Don also served as a District Deputy for K.O.C, was a former Lecter and Eucharistic Minister at St. Mary Catholic Church, and a part-time police officer in Sharon. In his free time, he enjoyed model making, reading, military history, and was an avid Philadelphia Eagles and Chicago Cubs fan. But, more than anything, he loved spending time with his family. Don is survived by his loving wife Donna, children: Eric (Laura Dalle-Valle) Fescenmeyer, Leif (Stephanie Geisler) Fescenmeyer and Britt Fescenmeyer. He is further survived by his brother Bob (Kathy) Fescenmeyer, other relatives and friends. He was preceded in death by his parents. The family would like to extend a heartfelt thank you to the I.C.U. staff at the Clement J. Zablocki VA Medical Center, for all their care and compassion. Relatives and friends may visit with the family on Wednesday, April 3, 2019 from 12:00 PM until 2:00 PM, at the Schuette-Daniels Funeral Home. Burial will follow in Springfield Union Cemetery. To send flowers or a remembrance gift to the family of Donald E. Fescenmeyer, please visit our Tribute Store. "Email Address" would like to share the life celebration of Donald E. Fescenmeyer. Click on the "link" to go to share a favorite memory or leave a condolence message for the family.